Guys Dashing Jet wins the second go of the All American Quarter Horse Congress Barrel Racing Sweepstakes by over a tenth! Ecstatic is an understatement! 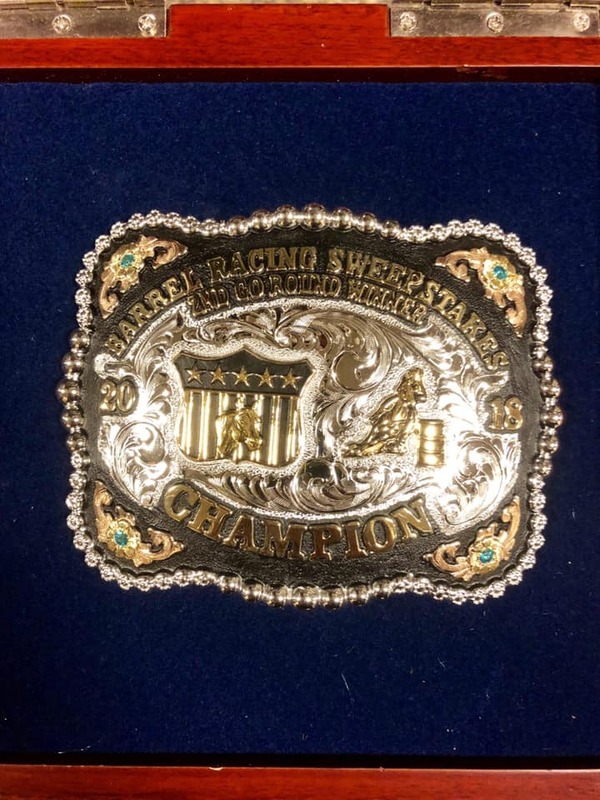 Guys Dashing Jet owned by Cathy Geary by Frenchmans Guy out of Perks Dashing Jet by Dash For Perks won the second go of the All American Quarter Horse Congress Barrel Racing Sweepstakes by over a tenth! I sound like a broken record but this mare is AMAZING!!! Thank you to Don Young with #UniversalMedia for all you do and your endless sponsorship for this great event!